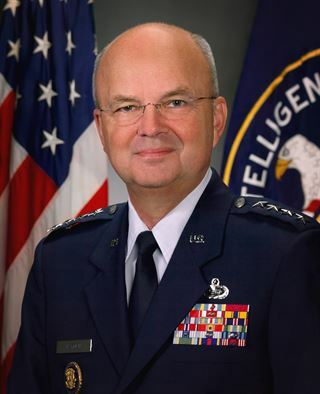 Retired Air Force Gen. Michael Hayden, former director of the National Security Agency, is pushing back against a liberal activist’s tweets that he criticized the Obama administration while talking to reporters. On Thursday, Tom Matzzie, formerly of MoveOn.org, was sitting close to Hayden on a train when he overheard Hayden’s off-the-record calls with reporters. Matzzie started to clandestinely tweet what he was hearing. “On Acela: former NSA spy boss Michael Hayden just ended last of handful of interviews bashing admin,” Matzzie wrote in one tweet. But Hayden says he did nothing of the kind. “I didn’t criticize the Administration. Period,” Hayden wrote in an email to Air Force Times. Reached by phone Matzzie said Hayden was gossipy, not insulting, about administration officials. For example, Hayden mentioned he advised officials against allowing President Obama to have a Blackberry device.